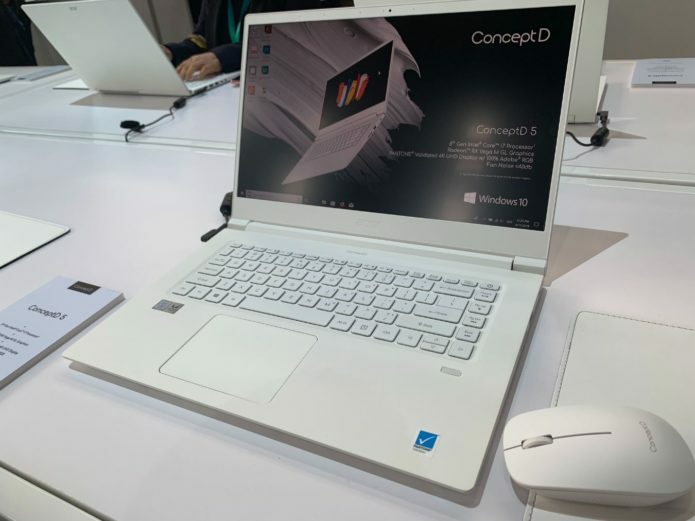 The Acer Concept D7 and Concept D5 represent the company’s first true attempt to challenge the 15-inch MacBook Pro head-on. The D7 packs beefier specs than Apple’s flagship laptop for $100 less, while the D5 supplies a decent amount of oomph for just $1,699, which is $100 less than the latest 13-inch MacBook Pro. I had a chance to go hands-on with both systems at Acer’s launch event and came away impressed with their displays — and comfier keyboards with actual travel — but the designs didn’t quite wow me.